If we have children, most likely in some form or other there will be Grandparent-Parents-in-Law on the scene. The dreadful interfering mother in law…. is this always the case? These people raised your partner, and are grandparents to your children. That’s a relationship that cannot be ignored...right? 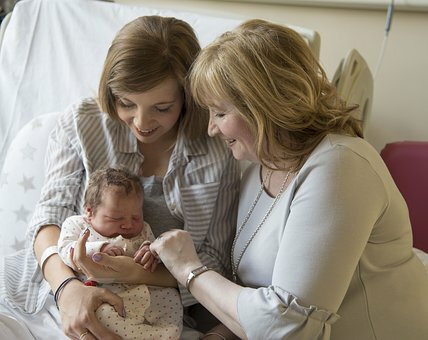 The the role of a grandparent is a special relationship. But of course how successfully all of the relationships in a family scenario work out comes down to personalities, and history. 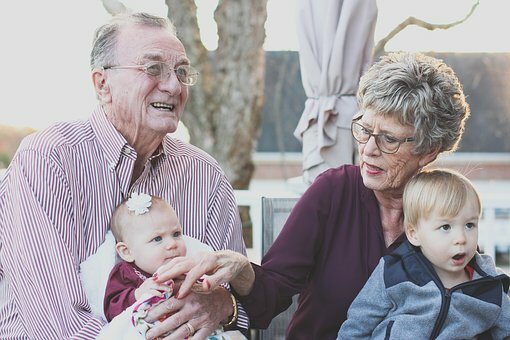 Whilst Grandparents don’t have automatic legal rights, the Courts can get involved depending on all the circumstances, and will recognise the invaluable role that grandparents have to play in their grandchildren’s lives. Hopefully you don’t ever have to go down that road though for obvious reasons. All of these would be really annoying, and can easily cause relationships to break down with one event or over years. Having a new baby can be a stressful and tiring time, and new parents need love and support. And even as babies become children, strains can arise. The in-laws could become out-laws. I have been really lucky. I genuinely enjoy spending time with my parents-in-law, and would independently turn to them in a time of personal or family need. In short, I gained a second set of parents. I have spent a lot more 1:1 time with, particularly, my mother-in-law since I had children, and our relationship has grown and changed. In a good way, I think! She is never anything but supportive and she thinks a lot before she offers advice or comments on anything. Probably more so than my own mother in fact who, because she is my mum, delivers home-truths without sugar coating! We can shout at each other, but it's usually all blown over and forgiven almost instantly. With parents-in-law, however close you are, the relationship is still always, at least, an imperceptible step removed from the one with your own parents. I’m sure in reality my parents-in-law are more frank with my sister-in-law than me, for example! This said, I would trust them to be honest with me. I do think grandparents see their grandchildren through rose tinted glasses though. My kids can be a pain in the derriere if they want to be, and things that would have made me lose my patience, don’t seem to have the same effect on them! When I see “feral”, they smile at spirited energy…! They can enjoy the fun without the same level of parental responsibility…. I guess they served their time as parents, and this is, happily, meant to be a different relationship. 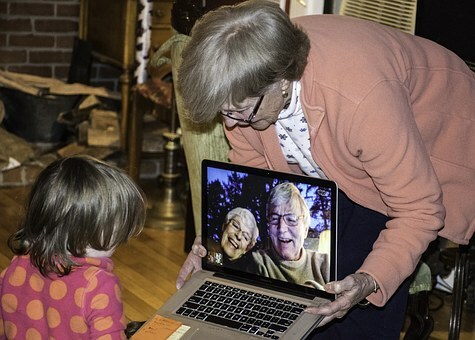 From their point of view, I imagine, they are conscious that you as their mother are usually the most obvious person to nurture their relationship with their grandchildren. And they (should) act with this in mind. You would hope they would anyway! Unfortunately it is all too common a scenario that a mother doesn’t get on with her in-laws, for any of the above suggested reasons. This can be whether the dad/husband has a good relationship with his parents or not. I know friends who, in perfectly happy marriages or relationships, have endured terribly upsetting situations and feel trapped. They cannot escape the tie of this blood relationship… but it’s not their blood. They are torn between the recognition of, in most scenarios, what is the best for their children and perhaps their immediate family unit, and also what causes arguments, stress and heartache as well. It can be a real cause of problems in a relationship. What to do in this situation? Make the most of it, ignore it, or cut these people out of your lives…? I do not have the answers; I’m not a family therapist! Every situation is of course going to be unique. However, it often seems to me that it should be for the husband/partner/dad/son to speak out. Be a mediator if necessary. These are his parents. He knows them and it shouldn’t be for the mum to solely have to navigate whatever the difficulties with history and personalities are. And of course if there is a clash of personality between the mum and one or both of the parents-in-law - well without intervention that is never going to improve. People are unlikely to fundamentally change in my opinion. But awareness, subtle adjustments, and more “joined up thinking” on both sides, can make life for everyone a lot easier and happier. I firmly believe that it is worth trying, but does there come a point when it is too much? Can some things not be unsaid? What is your relationship like with your parents-in-law? What was or is your relationship like with your grandparents?